We are open for your patients who wish to “walk in” on the following days but do call us if other days would better suit your clinic schedule. For specific appointments, we will contact your patients directly. All our on-line services are accessible to our Finchley office customers, from the reformatting of digital images to the production of anatomical models and computer-assisted design and manufacture (CAD-CAM). Unfortunately the scanners are not easily accessible for wheelchair users (stairs to the first floor). 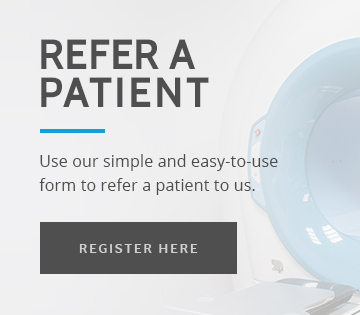 Register online, download a referral form or request a paper referral pack using the contact form the right. Please let us know if you require any particular assistance prior to your visit so that we can help you best. If you come on the Northern Line, then it’s a short walk to Cavendish Imaging Finchley. We will be very pleased to organise a taxi to pick you up at the station if it makes things easier for you: you would just have to let us know in advance your arrival time at Woodside Park tube station. Buses 125, 263 and 626 stop on the High Road by Woodside Lane and Mayfield Avenue. If you are driving, there are 2-hour parking bays nearby but, very often, there are spaces in the parking located behind our building so we recommend that you try there first. Payment will be taken on the day for most examinations, unless we have an account arrangement with your referrer. Our services are recognised by most insurers. Please obtain an authorisation number- specific to your CT scan before your visit and bring your membership/policy number with you on the day of examination. We accept credit/ debit cards and cash. Up-to-date fees are displayed in the waiting room. Please be advised that, when payment is on an account to a third party (e.g. insurance, embassy or sponsor), in the event of non-payment or shortfall on the account, patients are liable for settlement accordingly. We accept cheques, most credit and debit cards and cash. Up-to-date fees are displayed in the waiting room.